Because of the influence of the processing, assembly and adjustment of the new machine parts, the friction surface is rough the contact area is small and uneven surface pressure. In the production process of batching plant, the concave and convex parts of components surface chafe each other, and the falling metal debris can be used as grinding material to participate in the friction continuously, which make the abrasion speed up quickly of the components surface. Because of the gap with the smaller commercial concrete batching plant new assembly parts and assembly and other reasons, it is difficult to ensure uniformity with clearance, lubricating oil is not easy to form a uniform oil film on the friction surface, to prevent wear. 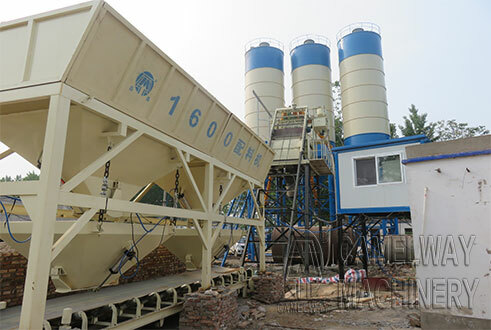 At the beginning of the use of concrete batching plant, new components have deviation of geometric shape and dimension.